Quiet: The Power of Introverts In a World That Can’t Stop Talking, by Susan Cain. I really enjoyed this book since so much of our culture moves too fast and loud way too often for my tastes. Susan covers the science of why and how we become more introverted or extroverted. She surmises that it is a mix of brain function and environment. When you read it you get to learn fun names for parts of our brain and body like the amygalda(plays a key role in emotions), limbic system( set of brain structure controlling various bodily functions), neocortex(high functions such as sensory perception), and prefrontal cortex(short term and long term decisions making). If you are an introvert or simply don’t understand introverts this could be your book. I was called an introvert often when I was younger and HATED it because I thought it meant weak and scared. That seems to be the way society expects that label to be used. Sadly I became that label for 17 years. After a while I realized that for me introverted simply shines through in my enjoyment of being quiet and listening to others because that is the best way for me to learn. I can be extroverted if I push myself to for work or am surrounded by people that cause me to feel comfortable and safe, but I like that I have this ability to turn into myself and love that part of me. As I get older and wiser I find it easier to keep a balance between the two and use as needed in each unique situations. 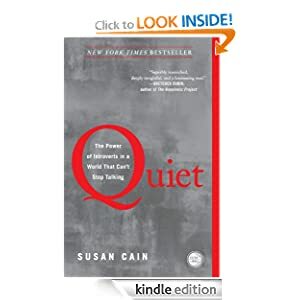 There is another book you might like called “Quiet: The Power of Introverts In A World That Can’t Stop Talking” by Susan Cain. It does a great job of explaining the pros of being introverted in a society so biased towards celebrating extroverted people. What is a Great Book That You Have Read? PS. If you want to shoe some love, you can read, leave a comment and purchase my books on Bookemon or Amazon. Previous postCelebrating ALL Mothers – Guardians, Step-Parents, Grandmothers, Aunts, Foster Parents, and Dad’s too! Next postWhat did you do this weekend? Introverts are the most misunderstood people in the world. Their silence is interpreted as arrogance. This post should actually be under “Book Reviews” but I don’t know how get it there as a “reblog” without copying and pasting, so… here ya go. From one of my followers, and a blogger/author I follow. Enjoy!